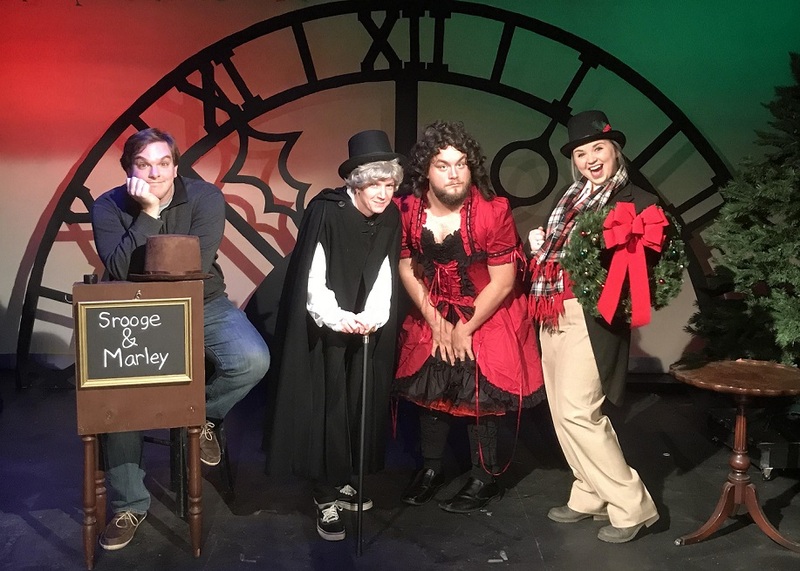 CLEARFIELD – Clearfield Arts Studio Theatre Inc. (CAST) is preparing a raucous holiday treat, based on a familiar story. It’s also hosting a traveling photo gallery, highlighting life on the Susquehanna River. Scrooge in Rouge is a quick-change, cross-dressing version of a Charles Dickens classic. It’s set in a Victorian music hall. The Royal Music Hall Twenty-Member Variety Players are beset with a widespread case of food poisoning. This leaves only three surviving members to soldier on through a performance of A Christmas Carol. The undaunted trio gamely face missed cues, ill-fitting costumes and solving the problem of having no one to play Tiny Tim. Done in the style of British Music Hall, Scrooge in Rouge abounds in bad puns, bawdy malapropisms, naughty double-entendres and witty songs. Performances will take place Dec. 6-8 and 13-15 at 7:30 p.m. Tickets are reasonably priced at $12 for adults and $10 for students. Tickets are available online at ClearfieldArts.org/tickets, at the CAST office Mondays 5:30 p.m. – 6:30 p.m., and at the box office 30 minutes before each show. Stacey Norris serves as the show’s director, with Mason Strouse as musical director. Stacey’s husband Greg is her assistant and technical director. Along with this performance, CAST is hosting the Susquehanna Greenway Traveling Gallery, showcasing the winning images from the annual Susquehanna Greenway Photo Contest, Treasured Landscapes and River Towns of the Susquehanna. The seventh annual photo contest drew entries from across Pennsylvania. Entries were presented anonymously to a panel of five judges, and evaluated based on composition, technical quality and adherence to the category theme. This year’s contest categories included Treasured Landscapes, Treasured River Towns, Susquehanna Adventures and a Youth Category. The Susquehanna Greenway Partnership is a non-profit organization dedicated to advancing the Susquehanna Greenway, which is a network of conserved lands, trails and communities that runs along the Susquehanna River within Pennsylvania. Its mission is to envision, create and sustain a greenway along the Susquehanna River, to highlight River Towns and to enhance the lives of current and future generations. It works toward its mission through the implementation of three program areas: Trails (both land and water), River Towns and Education & Outreach. The gallery can be viewed by patrons coming to the Scrooge in Rouge performances, as well as performances of The Nutcracker Dec. 19-22. The Clearfield Arts Studio Theatre Inc. (CAST) is a non-profit arts center located at 112 E. Locust St., in heart of downtown Clearfield. For more information, visit www.ClearfieldArts.org, call 814-765-4474 or find CAST on Facebook, Twitter and Instagram.